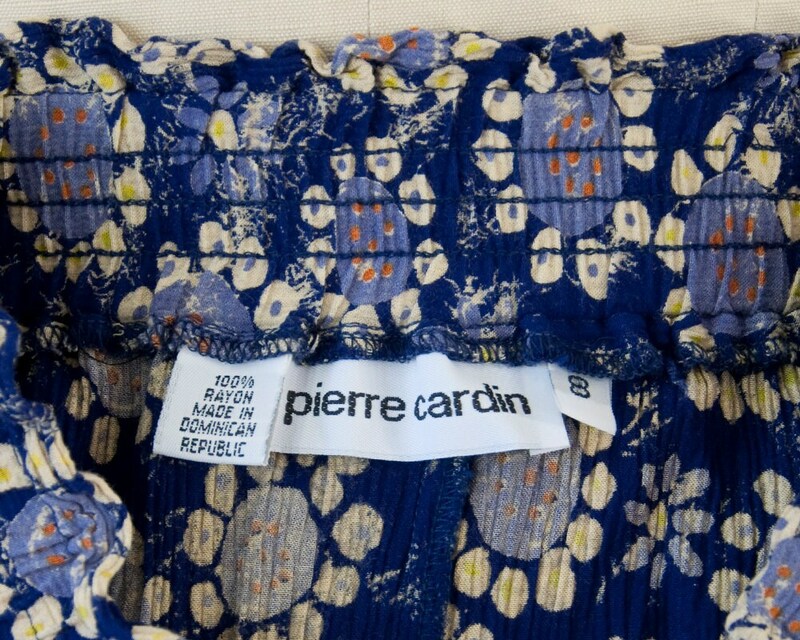 80s 90s vintage Pierre Cardin print wrap skirt. 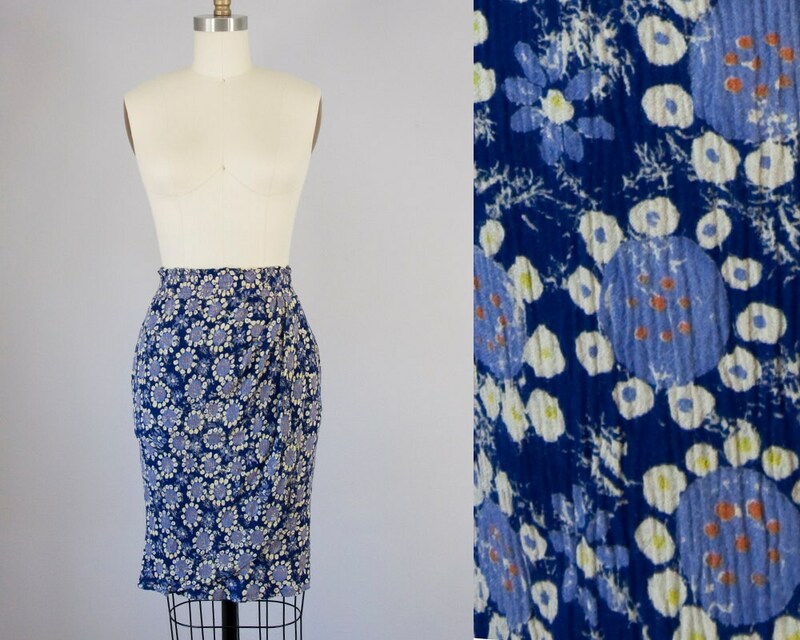 Crinkled rayon fabric with stretch. 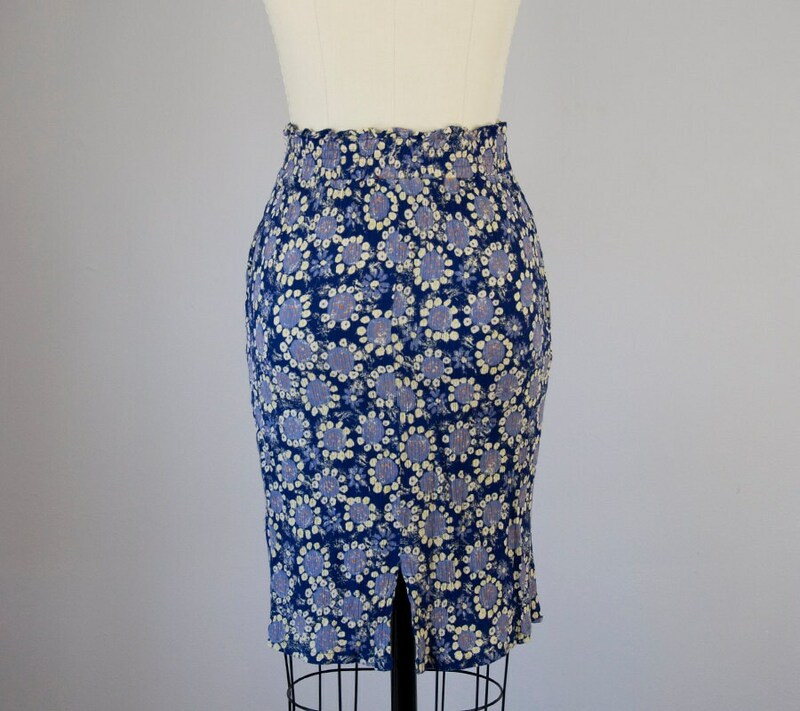 Skirt is form fitting through the body -- clings to curves in a flattering way. Side pockets. 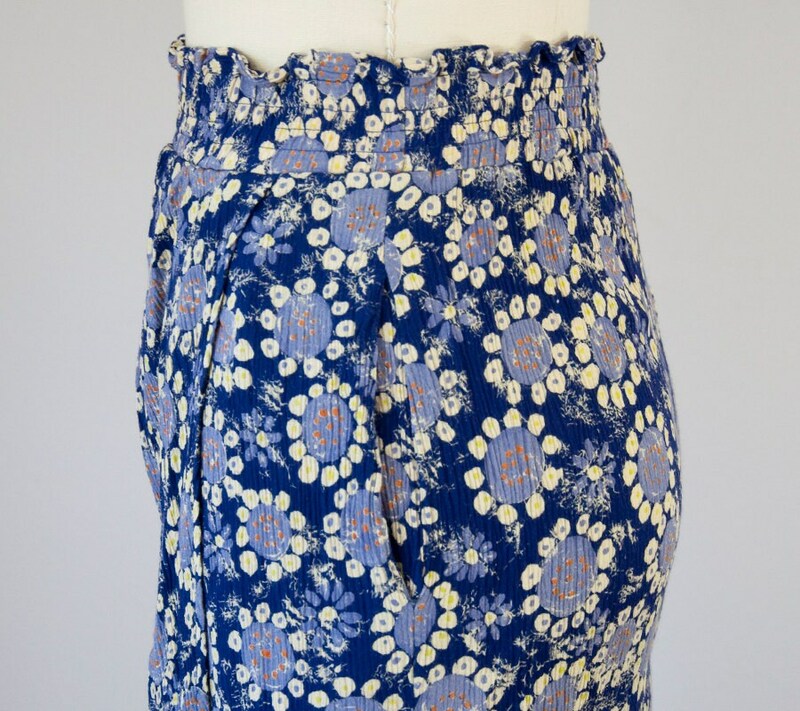 Wrap style but not open in the front -- extra panel sewn on the front. Elastic waistband. 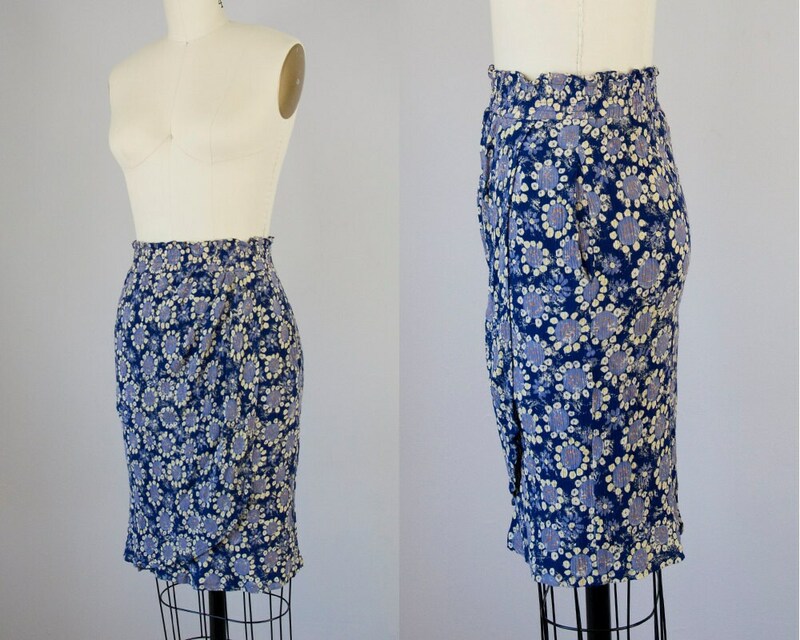 Skirt can sit at the waist or lower deepening on your measurements.